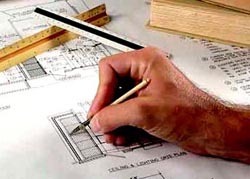 Architects create designs for apartments, bridges, highways and other construction projects. They put in so many efforts to prepare designs on paper, turn them into CAD files, and ensure they are used correctly in construction. But this job title is also used in IT industry where the jobholder design system architecture. Just as you would be meticulous in designing a new structure, the same amount of efforts are required for drafting an architect resume. As the job deals with creativity and precision, same qualities must be reflected in your resume if you want to make the mark. Just like designing and constructing a building follow a certain pattern, architect resumes must also do the same. The resumes act as a marketing tool whose ultimate agenda is to win an interview. Since this is a crucial purpose of your document, taking time to create one is absolutely fine. Similar to the short span promo ads of architectural structures, you have a limited time to create an impression using a resume. Therefore, it is necessary to write it properly. The internet offers different templates for every type of resume. A chronological format is preferred usually as it is easy to understand and legible for most of the hiring managers. This structure represents your work history in a descending order, starting from your current employment to the oldest one. It helps you highlight the key points in your document. This is an important section of your resume using which the recruiter can contact you. Add your full name, current residential location followed by city, state, zip code, contact number, and a reasonably sound email address. Since this is a creative field, you can include the portfolio link and also a photo if you wish. To work in an architectural firm is pretty much the objective of very person engaged in this field. So, what else do you have that others don't? You need to demonstrate why you qualify for the job. This is the section where you have maximum chance to sell yourself to an employer. It's a spot where you need to convey a better image of yourself – start by describing skills, significant achievements to create the right impact. Mention an award or talk about your commitment and dedication towards the job. Make sure that this section includes only 3 - 4 sentences and is captivating enough to spike the interest of hiring manager. Listing points that talk about your sketching skills, ability to visualize objects in 3D mode, color combination sense, not compromising in maintaining regulation standards in construction projects and names of different professional certifications or various software's used in this field can help you create the right impression. Bring your core competencies to the forth to catch the recruiter's eye. This section is where an employer will assess your potential against his requirements. Always remember to follow a reverse chronological order starting from current employment to your first job. Write your employment history in proper details – name of the firm, time you were employed there and job role. While specifying the inner details, don't just list out the job duties, write about significant projects and major achievements in completing them against a deadline. If you have worked on similar projects in different firms, instead of mentioning them separately, try to club them under a sub-section, including the company name in brackets. This will save much space in your document. Keep it simple. If you are applying for a senior position, just add the highest level of degree obtained, the university you got it from and the year. Adding the GPA scored is an optional thing and depends on the job description mentioned by a company. If you are just starting your career, you can add extra information about grades in 12th or 10th, but never include grades for every academic year right from kindergarten to post-grad degree. This is going to eat up valuable space. Apart from these sections, you can also include other sections like honors/awards, personal interests and hobbies or personal information about nationality, marital status – only if it is asked in the job description. The length of the resume must be of 2 - 3 pages, and have reasonable white spaces. Since you are targeting this document to a specific profile, delete irrelevant information and mention only those points which are in sync with it. Edit and proofread your document before mailing it. The architect resume samples given below are from different domains, and we are sure any one of those could be a perfect match to your profile. So use it to personalize your resume and inflate selection chances for an interview. Need some more resumes related to architecture? Get them from architecture career options.